Who doesn't love a good story? So here’s to another weekend of smashing those TBRs and fitting in some relaxation when you can! What are your plans? 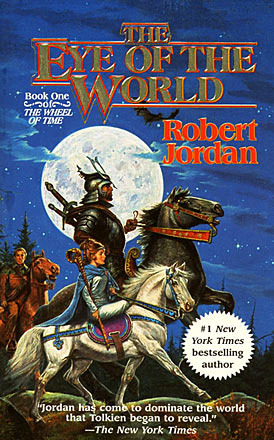 I’m only 125 pages into this gargantuan start of the Wheel of Time series, but I can already tell I’ll be head over heels by the end of book one. The characters are fun and full of grit, the descriptive nature of the writing lends itself perfectly to the fantastical world of good vs. evil, and the story is fascinating. I don’t think it’ll be difficult to make serious headway into the bulk of this book. I’m in the mood for a good horror/thriller, and I’ll certainly be needing something other than fantasy to read when I’m not reading the massive book I mentioned above. I’m going into this one as blind as I can, and I appreciate that the synopsis doesn’t give much away, so that I can truly be as blissfully ignorant as possible. I’m excited to dive into this one, and am really hoping it gives me goosebumps. That’s all for this week! Let me know what you’re currently reading, or what you are planning to read this coming week. Thanks for reading! Getting some reading in before work tonight 🤓 . I’ve been working my way through #secondborn by Amy A. Bartol. I have many thoughts.... some good, some bad but mostly just wanting to know how this first book ends so I can decide whether or not to pick up the next installment. . Jax is a bit bummed that it’s wet and cold outside since she doesn’t particularly like to get her paws wet 🙄. She can be a bit of a diva sometimes lol. So we’re staying warm indoors with coffee and a bone to chew on. . What are you reading? The best shotgun riders in the state of Indiana. . . . It’s a gorgeous sunny day, and since it’s still a bit icy out, I thought some time at the library sounded perfect. A few of these were already on my TBR, and two are new discoveries so I’d say another successful library haul is in the books! HA! 📖Obsession is relative📖 . . I am having A BLAST reading through the first book of #asongoficeandfireseries And I must say, many people may shy away from reading these humongous books and opt for watching the shows instead, BUT the writing is VERY easy to follow and the book truly does read like the amazing story George R.R. Martin has imagined. . I myself am glad I watched the series first because it does help to put various names to faces when reading, but I don’t think the book (so far) is nearly as intimidating as one might think before giving it a read. . . My hubby and I are rewatching the show (for the third time) in preparation for the upcoming series finale in April, and I am really enjoying reading along with it! #themonstrumologist is AHmazing so far, and I am SO happy there are more books in the series because I don’t want it to end! I’ll be enjoying a dark red blend as I finish the remaining third of the book tonight. 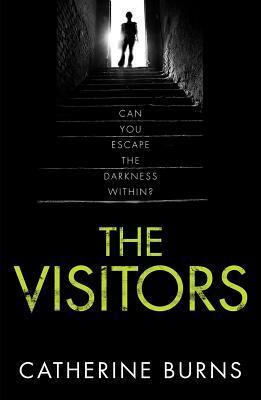 Seems only fitting for such a dark, gruesome story with oddities that spark both curiosity and horror in the reader.